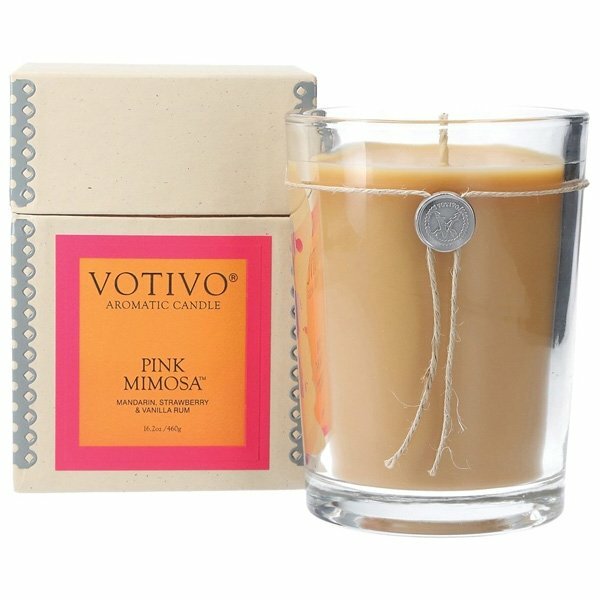 Votivo Large Pink Mimosa Candle is best used when it’s time to unwind, relax as you breathe in the sweet aroma of strawberries mixed with mimosa and vanilla rum. Mandarin. Strawberry. Gardenia. Mimosa. Vanilla Rum & Sandalwood. Supersize your Votivo Aromatic Candle experience with the 16.2 oz Large Candle. Enjoy your favorite fragrance even longer with a burn time of up to 100-110 hours.